Selling is about perception. It is all about the attitude first, before the product/service. Thus, when we sell, we first, sell our ourselves. If you can get someone to like you, you are halfway there. In this article, I’d share 4 things you need to know, 4 techniques and 4 impulse factors that can help you sell more. Capabilities and Features: Know it’s advantages and benefits. People are more interested in themselves, so if you can sell them the capabilities of your product/service as a solution, they will buy. Suitability of purpose: How suitable is your product or service for meeting their needs? Can it do exactly what is required of it? Everyone wants an easy life, thus if it can meet their needs adequately, then they will buy. Availability and Delivery: How accessible is your product? How easy is it for them to get it? How will it be delivered? Price: What is the cost? Learn how to sell value not cost! Create Artificial Shortage: Every now and again, you may need to make your customers feel like the product or service or current discounts/offer is about to get exhausted or is about to end. Fear of loss is much greater than the need for gain: For example, people are usually more afraid of not getting the offer than getting the savings. When people know that a great product is about to finish, they get the urge to quickly make a purchase and sometimes, in large quantity. Jones Effect: ‘He has it so I want it. It’s the theory that if many people have something, we also want it to “keep up” with them’. To sell more, you might have to show your customers ‘a portfolio’. Show them that other people are using it and enjoying it/gaining from it. Nobody wants to be the first person to buy. If your customer sees that their neighbours have bought your product or service, it’s got to be worth buying. Urgency: You must create an urgency to buy today. People will buy on impulse, only if you can get them excited about your promotion. Indifference: Never appear desperate for a sale, if you do, your customer becomes sceptical, and will not buy. So learn to hide your desperation, pretend to not care about closing the deal (whilst showing your care about meeting their needs). Eye Contact: When you look people in the eye, it shows that you are confident. It can also make them like you. Particularly, if you look people in their dominant eye (for most people, their right eye), it drives an instant connection and makes you more likeable. If people like your personality, they will buy from you and also, people trust confident people. Repeat their words: When pitching to a client, it is sometimes necessary to repeat their words so they know that you are attentively listening to them and understand their needs. So use what they say to pitch & convince them. Sometimes, it also helps to mimic their gestures. Body Language: In public speaking, pitching and selling, your body language matters a lot. It is important to smile, and ensure that your body language does not betray your words. Use this information and you will close more deals. 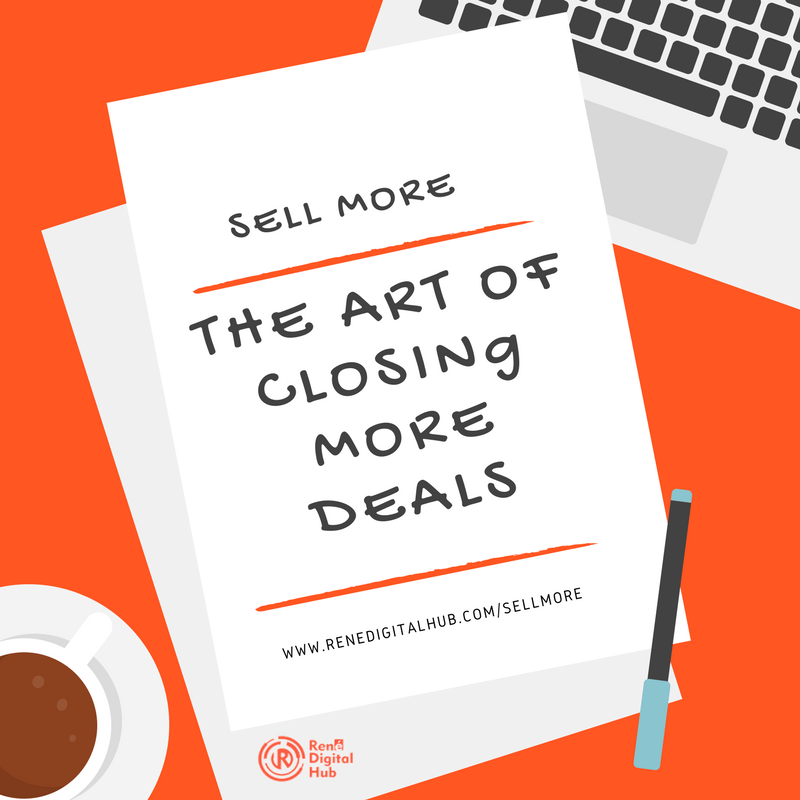 Do you have more tips on how to sell more? Please share by commenting. Also, share to your social media networks so people can learn too.